DARIEN — Is it unfair for out-of-towners to use the town’s senior center for free, thanks to Darien residents’ tax money? That is the question at the heart of a debate as to whether or not the town should implement a membership fee for the Mather Center, and whether that fee should be steeper for nonresidents using the center. The topic has come up at recent meetings of the Board of Selectmen, garnering mixed opinions. The selectmen have asked the Darien Commission on Aging to weigh in on the fee. Commission Chairman Joseph Pankowski Jr. was on hand at the selectmen’s Monday meeting to share his opinion on the issue. 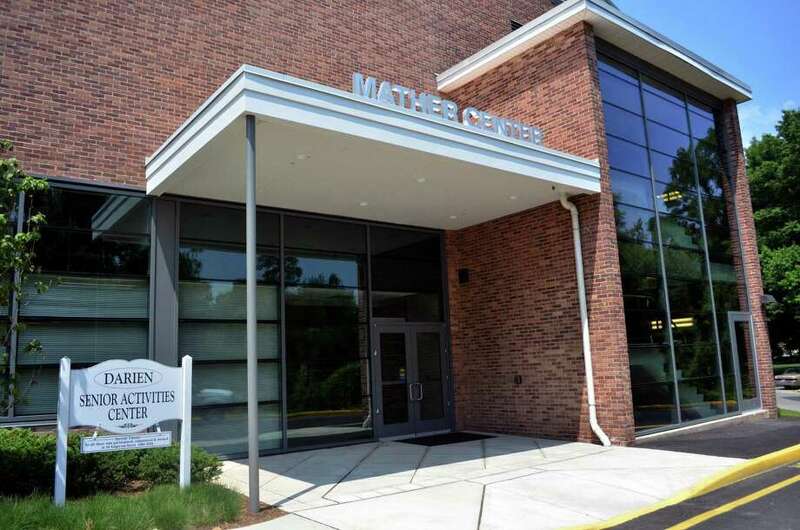 “The key for us at the Commission on Aging is to make sure sure there is always room for Darien residents to use the Mather Center,” Pankowski said. According to Pankowski, as of Sept. 30, the Mather Center had 1,414 members, 925 of whom were Darien residents and 489 nonresidents. He said the Commission on Aging has voted against installing a higher fee for nonresidents in the past. “We think this is critically important because our non-Darien residents many times are parents of Darien residents. Or they were Darien residents who just moved across the border to Norwalk or to Stamford. And our teachers many times are non-Darien residents,” Pankowski said. At the Nov. 21 selectmen meeting, Town Administrator Kate Buch said in order to effectively charge a day fee, the Mather Center would need to purchase a computerized check-in system, as it is now done manually. Issues, too, may arise because the Mather Center is a public building, she added. In November, Selectman Susan Marks spoke in favor of a nonresident fee because Darien seniors are the ones paying taxes that fund the center, therefore Darien seniors are the ones who should benefit from the center. “I don’t want to discourage a nonresident, but our tax dollars are paying for that nonresident,” she said. On Monday, however, Marks said she had changed her mind, likening the Mather Center to the Darien Public Library, which is also open to nonresidents free of charge. Pankowski said there might be an opportunity to raise costs on the Mather Center’s daily meal, which has been $4 for nearly two decades. Though as a commission Pankowski’s group does not have a budget, he suggested the town work with Director of Senior Services Elizabeth Paris on increasing the meal cost at the Mather Center this budget season.